Summer season is approaching soon and most of the women are looking for the latest trends to update their wardrobe. This summer prepare yourself for a chic style with addition of fashionable tops, bottoms, accessories and other wardrobe essentials. New and designer trends are already there in the fashion stores and soon will also be visible in your closets. Here are some wardrobes essential for summer 2016. The list of items given here will help you transition from one season to another in a style by converting the worst of winter into the best of spring. Metallic’s: Spring is the best time to play with colors and this season metallic will be in the limelight. If you find a complete silver or gold dress uncomfortable you can keep pace with the trend with shoes or handbags in metallic shades. You can also look for fashionable tops for ladies in silver or golden shades with some prints or designs to get a chic look. Versatile tote: Bags are the essential part of women accessories and play a vital role in their overall appearance. Besides an accessory, these also work as a storehouse for them and help them carry all the important items. Tote bags will be in trend this summer. 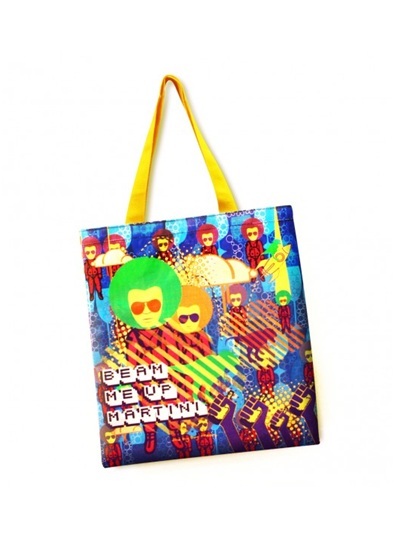 Large sized versatile tote bags will be your perfect companion for office, weekend outings and beach parties. Zurova's collection has huge variety of tote bags for every purpose. Cropped white pants: Are you bored of wearing those outdated pairs of jeans? Keep them aside and update your wardrobe this season with cropped white pants for a fashionable look. Whether you wear them as slim fit trousers or culottes, the white pants look equally appealing. Pastels: This summer, you will be amazed to look at pastel shades everywhere. And the light pink hues will rule the pastel category. Just make sure you don't get drowned into the pinks a lot. Pair your designer pink tops with other fashion pieces like jackets or different colored bottoms to create unique style. Baby blue is also an option for the women, who don't like too much of girly collection. There are various other options also in pastel shades. Floral: How can someone forget floral in spring and summer season? Floral dresses are the most common trend in summer season. The only difference every year is the size of prints or shades. This year bigger floral prints will be in trend. You can also experiment by teaming up different pieces for a chic look. Wear a plain dress with floral scarf for a dapper look. Neon: Almost every girl loves neon shades and you will be happy to know that neon are again back in fashion this season. Bring some cheer to your normal dresses with a neon touch. Just make sure you don't overdo neon love and look strange. Keep it minimal and pair it with neutral outfit. If you wear ladies long tunic tops in neon shades, your footwear, bags and accessories should be in neutral shade. So, what summer trends are you going to follow? Tell us your unique style through comment. Preeti Gupta is an experienced writer having keen interest in writing on fashion and latest trends in the industry. She has written for different fashion brands like Zurova. For the brand she writes on latest fashion trends, styling tips etc. Preeti's other hobbies are reading, listening to music and socializing.